Sweden is pretty famous as a vodka producing country. Peter Ekelund combined that heritage with the Cape Bjare New Potato to create a new vodka brand in 2004. Distillers tested nine different potato varieties and several different formulations before finally settling on a blend of seven different spuds. 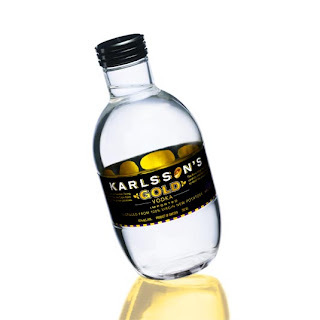 Karlsson’s Gold Vodka is made from “100% virgin new potatoes.” The 80 proof spirit has a slightly candy nose and a thin, light mouth feel. Overall clean and crisp flavor.